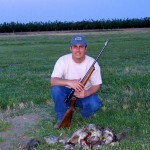 Varminter – var·mint·er (värmnt r) – n. – A person who hunts varmints (vermin, typically small mammals); a varmint hunter. 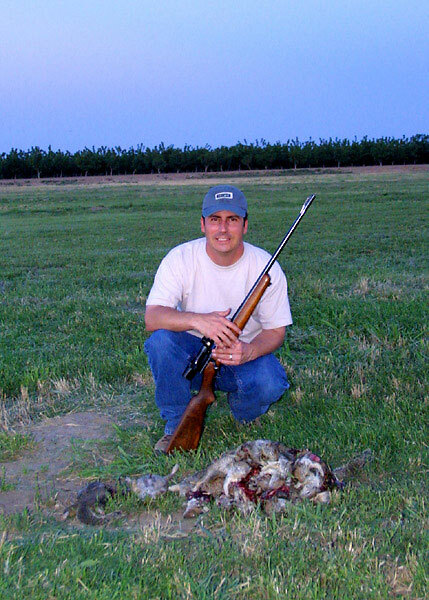 Varminters hunt as a means of pest control, to protect property, livestock or crops, in lieu of other, less environmentally friendly options, such as poison. 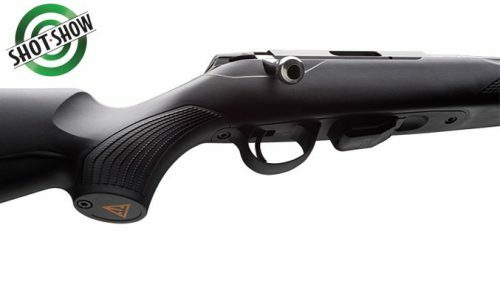 Hello and welcome to Varminter.com! 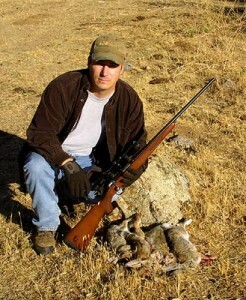 My name is Eric A. Mayer and I am the owner of Varminter. I am a 49 year old die-hard hunter that grew-up in Southern California, but is now residing in Southern Idaho. I have been hunting since age 13, beginning with BB guns (Daisy 880) and then moving up to the real stuff. I don’t really have one particular thing I like to hunt best, however, Varmints and Predators are always at the top of the list. 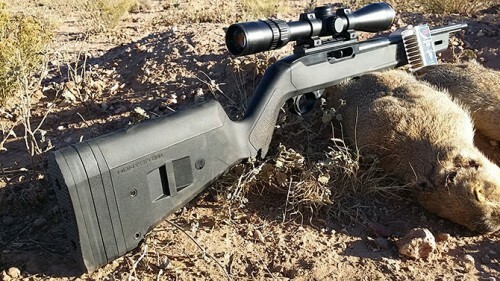 I have hunted Varmints in almost every county of California, as well as in Texas, New Mexico, Arizona, Oregon, Washington and even parts of Canada!. My other interests include trapping, small game hunting, bowhunting and reloading. I guess you can say that I am an all around hunter. That’s pretty odd considering I grew-up in a suburb of Los Angeles. Thankfully, while I was growing up, there was still lots of opportunities for kids who were willing to catch a ride to the base of the local mountains and head out hunting with their BB / Pellet guns. 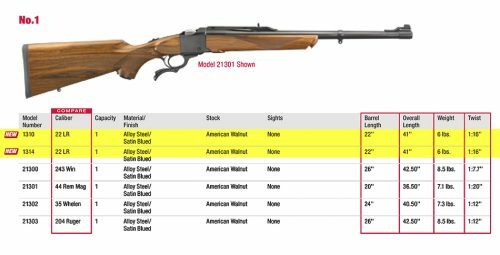 Cutting a 13 year old boy loose with a Daisy 880 pump air gun, a pocket-full of pellets with rabbits and ground squirrels everywhere was a recipe for a life-long love of hunting and the outdoors. Ever since I started using the Internet, I have enjoyed the interaction and information that people are willing to share with each other. I’ve made friends with some real great guys from everywhere around the country. Since the my first days on the internet back in the mid-1990’s, I had knocked around ideas about doing my own pages on the hunting that I love. I thoroughly enjoy many of the pages that are currently out there, but I wanted to do one that was a bit different. 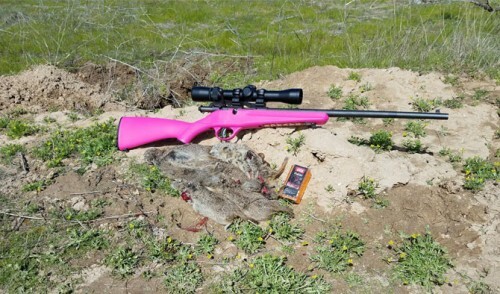 Something that offered an insight from a Varmint Hunter’s point of view. I wanted it to be like you were riding in the truck, heading to your hunting spot, swapping stories about past hunts and experiences. Don’t get me wrong, I enjoy the slick magazines, with their experienced writers and perfectionist editors. Except I didn’t want the Varminter site to be all about that. I wanted hunters from all walks of life talking about their hunts, their rifles, their favorite calibers and even their mistakes! Varminter is a place that showcases the regular hunter and their experiences. There is now a group of hunters from all walks of life who have articles published in our magazine, with our purpose being social interaction, education and entertainment. 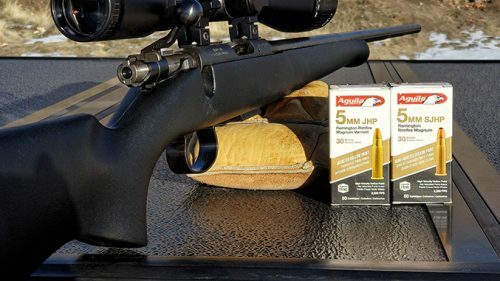 We also use this site to inform hunters about products that we have actually used. We won’t write articles, or film videos on products that don’t spend some time out in the field, under real hunting conditions. Of course, if we are reviewing a book, or a DVD, that might be hard to do; but we’ll still give it the same kind of attention, because we know it’s your hard-earned money you spend on these items. Lastly, we hope that these pages will give you a great place to gather information about hunting, firearms, calibers, animals we hunt and a way to interact with other hunters and have a good time. If there are any suggestions you have for us, please let us know, we want to make these pages into something you enjoy and frequent often.